Chief Rabbi David Lau visits 46-year-old terror-stabbing victim in Jerusalem hospital. 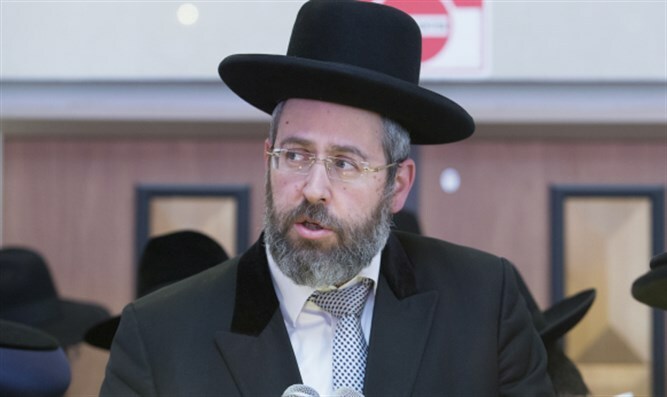 Ashkenazic Chief Rabbi David Lau on Thursday morning visited the security guard who was stabbed Sunday afternoon at Jerusalem's Central Bus Station. Asher Elmaliach, the 46-year-old victim, showed signs of improvement Tuesday, though he remains in serious condition. Arriving at Shaare Zedek Hospital, Rabbi Lau recited several chapters of Psalms, and met and blessed Elmaliach and his family, who were standing near his bed. Officials at Shaare Tzedek Hospital described Elmaliach’s survival as a “Hanukkah miracle”, stating that if the ambulance carrying Elmaliach had been delayed even a matter of minutes, he would not have survived.